Can you believe Thanksgiving is next week? Eek… Where is the time going?! Are you having any crazy weather yet? Wishing you all a fab weekend and thank you for reading!!! Oh so cute!!! I love how you styled this outfit, the Hunters are the perfect touch to this look!! We are having some crazy weather here also. It's super cold one day and then really mild and rainy the next, I hate unpredictable weather like this!! 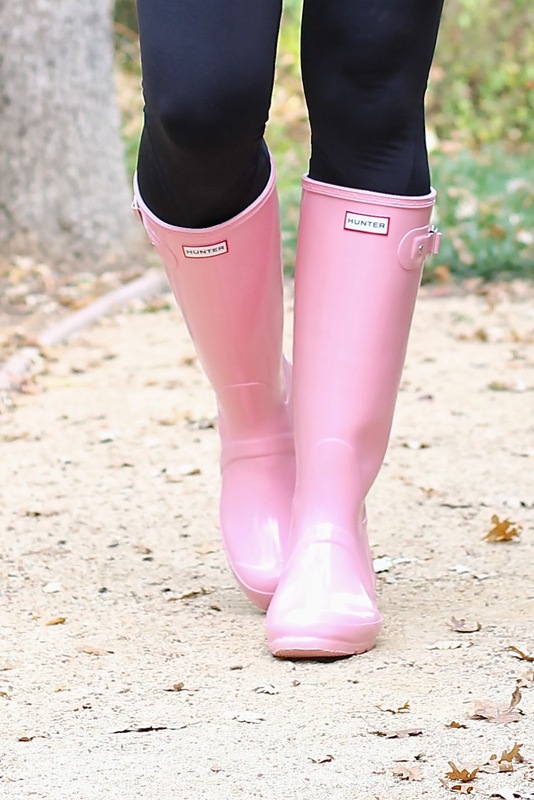 I have just recently learned about the Hunter boots and have been loving them! Now I have to purchase them because I didn't know they came in PINK! So cute! Wow you look amazing for a rainy day. Beautiful vest! Those pink Hunters are calling my name!!! You look fantastic and I love that furry vest!